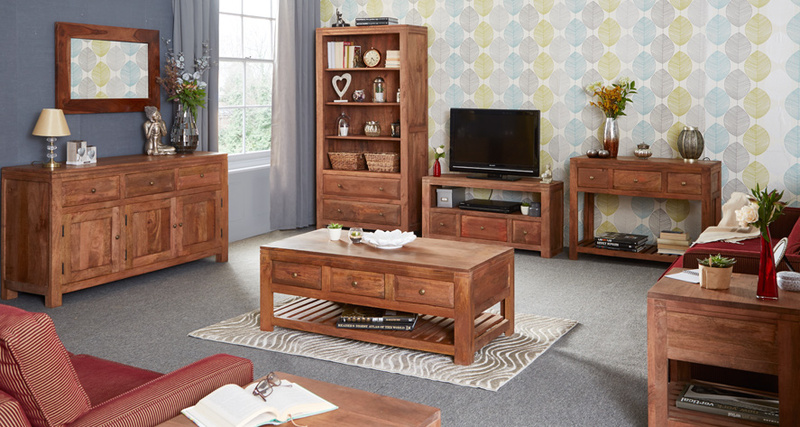 Keep your homes fashionable with our line of reclaimed wood living room furniture featuring sideboards, coffee tables, display and media units, and other living room fittings. With several combinations of our furniture, you will surely perfect comfort and style; try our light mango corner TV unit together with our contemporary coffee table and slate display unit for the perfect balance of lightwood, and add the industrial sideboard – the perfect retro living room furniture. Our solid wood living room furniture sets are made from premium wood and metal materials, handcrafted by skillful artisans in India. Your living rooms await, avail now!